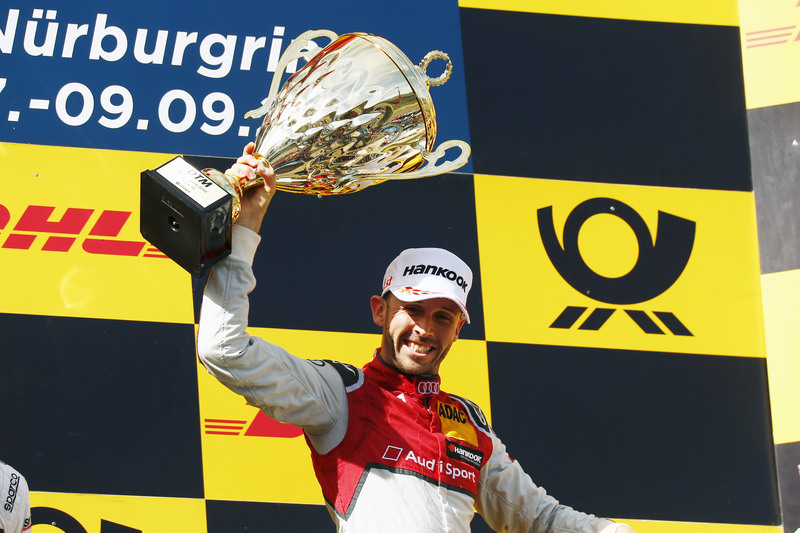 René Rast was the man of the weekend (September 8-9) at the iconic circuit in the Eifel Mountains. The Audi driver became the first man in the history of the DTM to not only win both races at a race weekend, but also to secure pole position for both races. While his advantage as he crossed the finish line on September 8 was a mere eight tenths of a second, the 31-year-old converted pole position into a comfortable win on Sunday. Race leader Rast came in for his mandatory pit stop on lap 17, after which he controlled the field from the front on his fresh set of Hankook slicks. After 40 laps of racing, the German crossed the finish line first to claim his sixth victory in the DTM. Rast was followed home by Mercedes-Benz driver Di Resta, who had started the race from eleventh on the grid. Behind Di Resta, Marco Wittmann (BMW) climbed six places from his grid position of ninth to finish third and take the final spot on the podium. Di Resta’s second place sees him close to within just two points of championship leader Gary Paffett (Mercedes-Benz), who was fifth on Sunday. BMW Team RBM completed the fastest pit stop of the race weekend at the Nürburgring, in a time of 35.597 seconds. They are rewarded with 25 points towards the Hankook Best Pit Stop Award.